Posted on September 29, 2011	by Linda S.
I bought a package of meltable glycerin soap, honey/almond fragrance and packages of red and green rose petals that were found over on the wedding aisle. A strip of waxed paper was used to place the wet petals on to dry. I melted one bar of the glycerin soap in a microwave safe bowl. With my microwave it took about 30 seconds on high… checking every 10 seconds to make sure the soap melted but did not burn. After the soap was completely melted, I dipped each petal in the clear soap to cover it, lifted it with tweezers for a second to let extra soap run off and placed the petal on the wax paper right side up. The soap on the petal and in the bowl solidified quickly. The bowl had to be placed back in the microwave every 4th or 5th petal to remelt the film that cooled across the top of the soap. The soap that adhered to the the ends of the tweezers was easily pulled off and placed a back in the bowl with each re-melt. I found that one bar of melted soap would produce around 25 petals of soap with some cooled soap left in the bowl. The finished rose petals turned out lovely. It took only a few minutes for them to dry, but I allowed about 15 minutes to be sure. 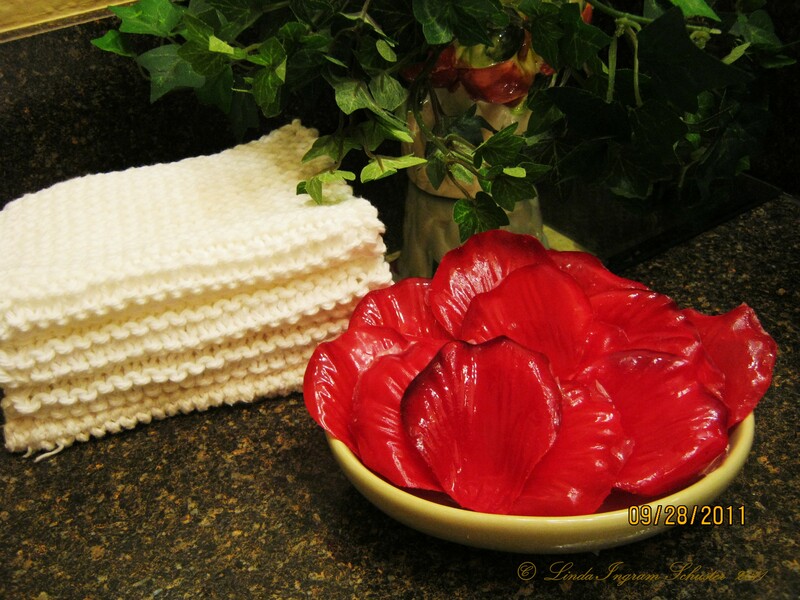 I placed mine in a new soap dish beside some hand knitted face cloths in the guest bath. You could use an antique cup and saucer, a tiny basket, a few placed in plastic wrap and placed inside a coffee mug … Putting these in a basket with hand knit face towels and home made olive oil/sugar scrub would make a truly lovely and useful gift. 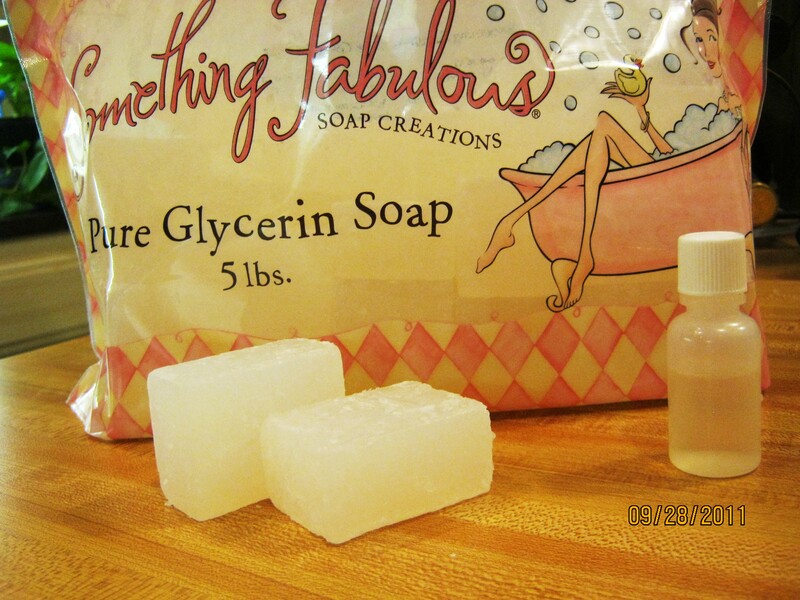 Many, many ways to use this lovely soap. Well… the sun is up and it looks like it will be another warm day. Cooler temps are expected tomorrow and for several days after that. By cooler temps I mean in the 80s… ;o) We did all our running around yesterday so I have this morning to myself (woo hoo) and this afternoon for the Red River Fiber Arts group. Gonna be a good day.. ;o) Hope yours is too.. This entry was posted in Crafts, Free Patterns, Handcraft, Handwork, Personal, Tutorials. Bookmark the permalink. That’s brilliant! I’d put rose petals into soaps (and they crumpled up), but never thought of putting soap onto rose petals. Have to try it! That is just awesome! Thanks for sharing this. After I received my prize package, I just had to come and find the instructions for making the flower petal soap! Wow, you didn’t disappoint. This is a MUST DO when my daughter comes to visit. Thanks so much for sharing it with us!!! Thanks for your help! I sent a link to the tut to my daughter, and she is as excited as I am to make these. 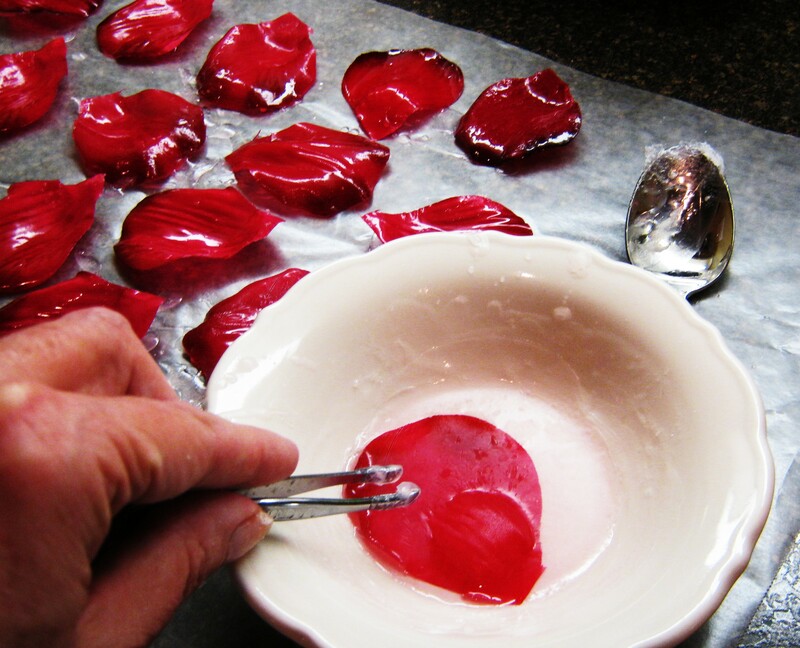 Question: Did you or could you use real rose petals?